If you've got a group of toddlers at your house, it can be difficult finding ways to keep them entertained. However, you can keep the party hoppin' with creative toddler games. If they're well planned out, your party will come off without a hitch. To make sure that everyone has a great time, keep the games age-appropriate. Ideally, the games should be simple with only one or two directions and be focused on gross motor skills only. This party classic can be easily modified for very young children. Instead of a pin, use double-sided tape on the backs of the tails. You can also play variations of the game such as pin the nose on the clown. Tape the donkey poster on the wall at toddler height. Write each child's name on the front side of one of the donkey tails using the crayon or marker. Apply a small piece of double sided tape to the back each tail. Working one child at a time, blindfold the toddler. Turn the child in a circle three times, ending with the child's facing the wall with the donkey poster. Have the blindfolded child walk forward to the wall and place stick the tail where he or she thinks it will go. Give a prize to the child or children that came closest to proper placement. Toddlers love this game because everyone gets a prize. Two or three sticks with three feet of string tied around the top of each to make a "fishing pole." Prop the display board up with the scene facing the children. Place the prizes on the undecorated side of the board. Have an adult or older child sit on the floor behind the display board, out of sight. Working with a few toddlers at a time, have the other adult help the toddlers dangle their fishing line into the pond. The adult on the other side of the pond will tie a prize to the end of the fishing line and give a few tugs when there is a "fish" on the line. The toddler gets to keep the prize she "caught." This game is very similar to a cake walk. 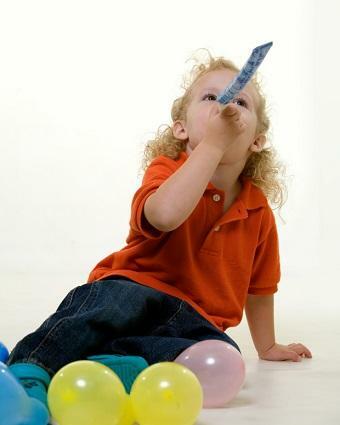 Instead of cakes as prizes, you can give inexpensive, toddler-friendly toys. Paper squares with colors or animal pictures on them. Place the paper squares in a circle on the floor with the color or animal face up. Place the matching cards or small pieces of paper in a hat, box, or bucket. Place each of the children on a starting piece of paper. 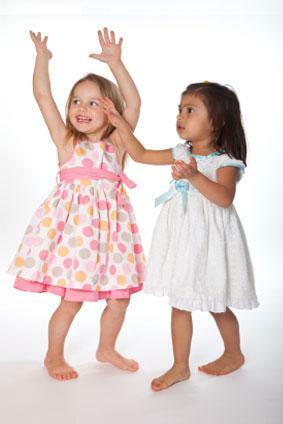 Instruct them to walk from paper to paper when the music starts and stop when it stops. Begin playing a children's song on your MP3 player. Turn the music off at a random point in the song and yell, "Stop!" Draw a card from the hat. The child who is on the paper that matches the hat can win a prize. If you wish to play again, have the child who won sit out and continue with the other children until everyone wins a prize. Beanbags are very toddler-friendly toys. They are squishy, easy to toss, and they are soft enough that no one will get hurt. Place the hula hoop on the floor. Place the yardstick or along the floor about four feet away to mark the line from behind which toddlers must toss the beanbags. Working with one toddler at a time, have the child toss a beanbag at the ring. The child whose bean bag comes the closest wins a prize. If you wish to make it really non-competitive, have each child toss bean bags until he or she lands in the ring and then give them a prize. This is a traditional party game that toddlers and preschoolers enjoy. Place the kitchen chair in the middle of the room. Place a jar on the floor just behind the back of the kitchen chair. Working with one toddler at a time, have the toddler stand on the kitchen chair, facing the back. Have an adult nearby to ensure the toddler's safety. Give the toddler several clothespins. Have the toddler drop the clothespins, trying to get them in the jar. Toddlers who get a clothespin in the jar win a prize. Traditional limbo requires players to bend backwards going under a limbo bar. With toddler limbo, the kids can go under the bar any way they want, as long as they don't touch it. Turn on the limbo music. Have the holders hold a pool noodle on each end, starting just above the top of the toddlers' heads. Line up the children and have them take turns going under the bar. After each round, where every child has made it under the bar, lower the bar a bit. 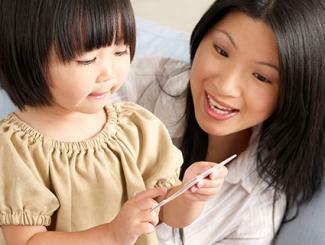 When a child hits the noodle going under, he or she is out. The child who can go the lowest without hitting the noodle wins a prize. This is a tamer game of musical chairs. The best part is everyone wins a prize. Seat the children in a circle on the floor. Tell them to pass the present from child to child until the music stops. Start the music, and have the kids start passing one of the gift wrapped prizes. Stop the music and yell, "Stop!" The child who has the present when the music stops gets to unwrap it and keep the prize. Have the child who won the prize sit out, and replay until everyone has a prize. Send kids on a treasure hunt around the party space with prizes at the end. The game is easy for toddlers, because all of the clues are photographs of objects in the party space. Photographs of objects around the party space (with one copy for each child). For very young children, this may be only four or five objects. Select a starting point, such as a chair or drawer. Place the first photographic clue in that location, including one photograph for each child. Continue placing clues at each destination. At the final destination, place the prizes. Give each child a photograph of the starting clue and have him or her find the object in the picture. Children can engage in the hunt simultaneously. When the child finds the object in the picture, he or she takes the picture of the next object and goes to find it. When the child has reached the final object, he or she will win one of the prizes there. This simple guessing game allows toddlers to rely on their sense of touch to determine what it is they are feeling. Place all of the objects in the box. Working one child at a time, blindfold the toddler and hand him or her an object from the box. Have the toddler touch the object and try and guess what it is. Toddlers that guess the object correctly win a prize. This active game is a great way for kids to burn off energy. Tell the children that when the music starts, they can start dancing. When it stops, they have to freeze in place and not move. Turn on the music and let the kids begin to dance. Turn off the music. The last child to freeze is out. Continue until one child is left. You can also award prizes to other children for things like "great dance moves" or "funniest faces." 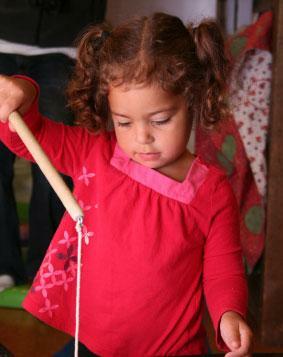 Toddler parties can be fun for everyone if you keep the children engaged with simple activities throughout. The ten games above can help you engage children in fun, age-appropriate activities.